ADDAMS, Jane. 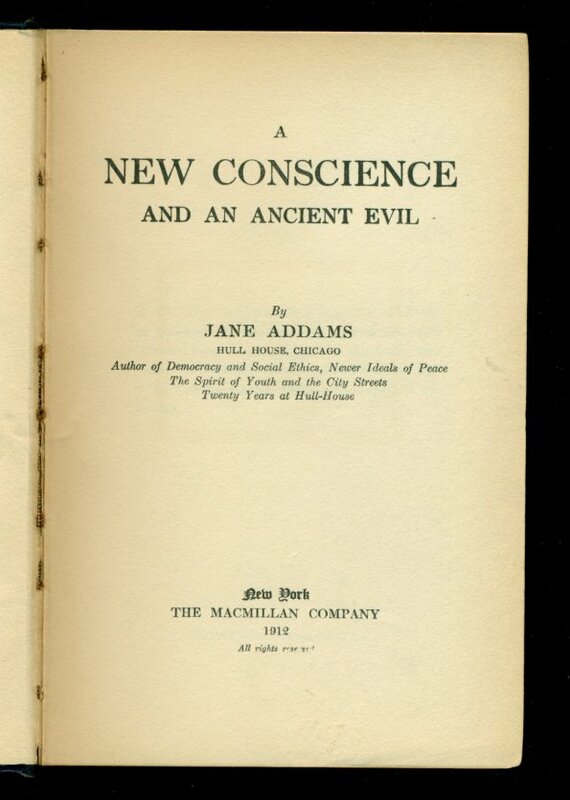 A New Conscience And An Ancient Evil. 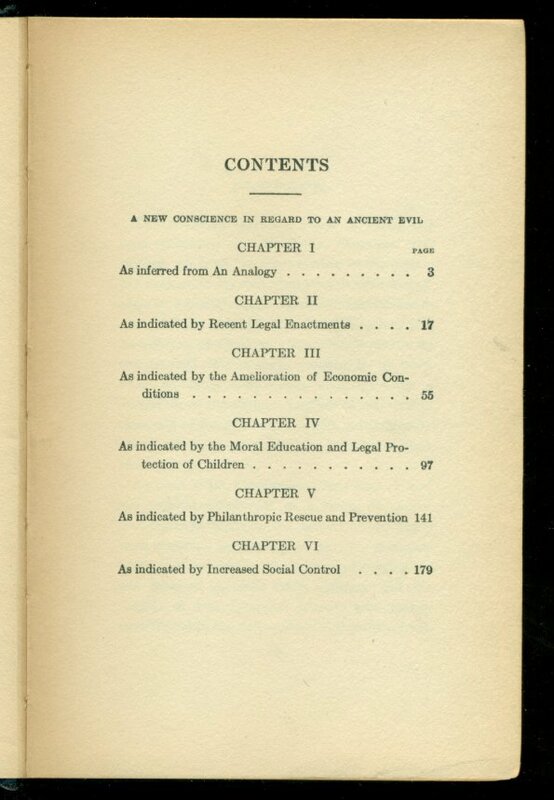 New York: Macmillan, 1912. First edition. 8vo., orig. blue cloth, 219, (5)pp.ads. A near fine copy. 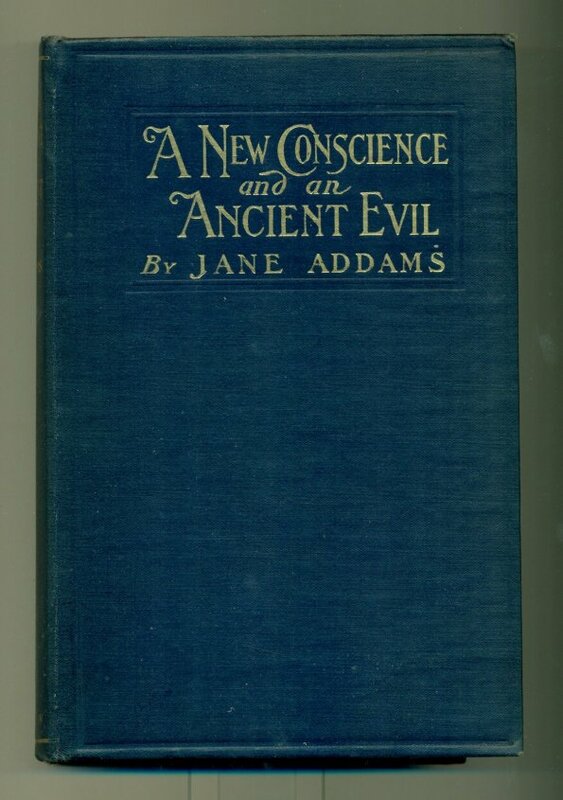 In her preface, Addams states "The following material, much of which has been published in McClure's Magazine, was written, not from the point of view of the expert, but because my own need for counter-knowledge to a bewildering mass of information which came to me through the Juvenile Protective Association of Chicago. The reports which its twenty field officers daily brought to its main office adjoining Hull House became to me a revelation of the dangers implicit in city conditions and of the allurements which are designedly placed around many young girls in order to draw them into an evil life..."